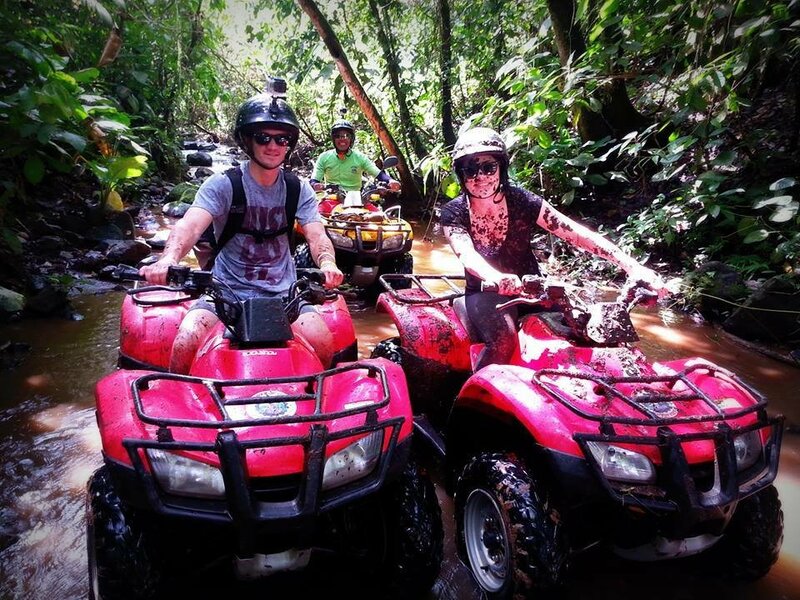 Includes fruit breaks, lunch, transport and private guideGet ready to get dirty and then get wet! 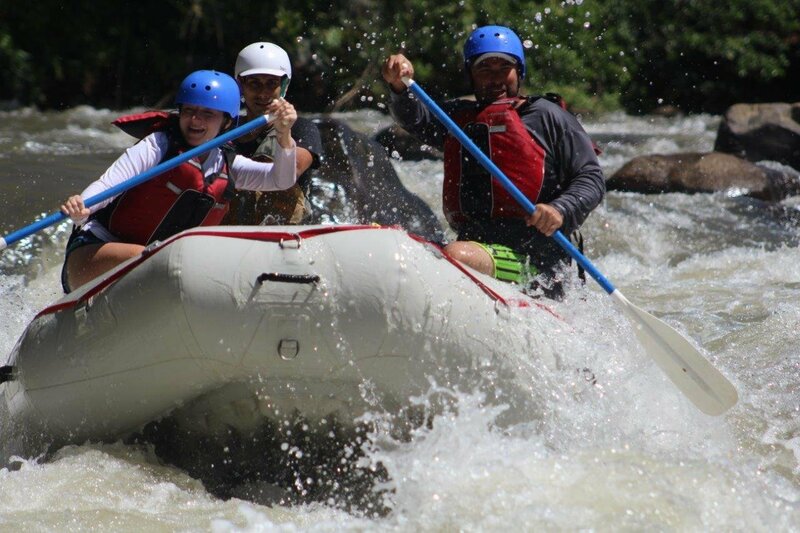 This ATV White Water Rafting Combo is full of adrenaline, fun, action and breathtaking views. Safe for first time enthusiasts, families and experienced people. 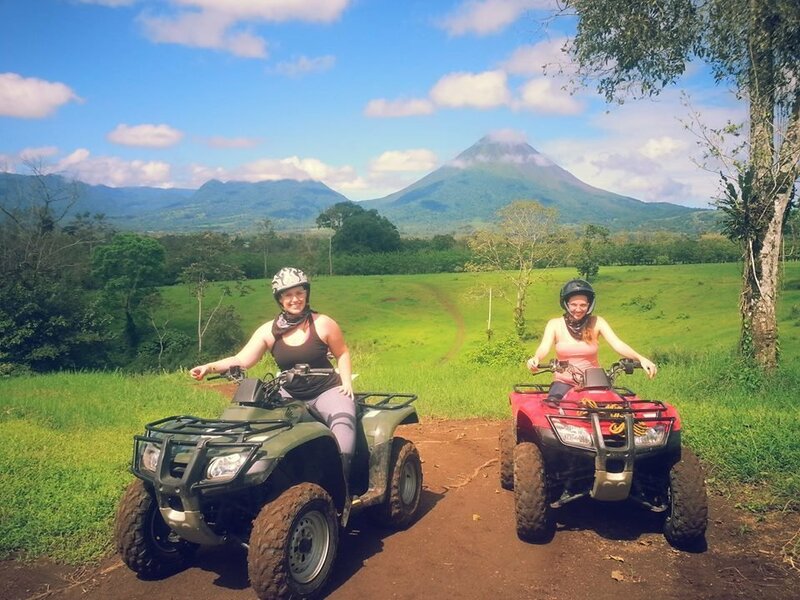 Your morning will start with ATV ride in the Costa Rican tropical country side with the Arenal Volcano in the background as you ride through 100% off road trails, hills and creeks with the added bonus of stopping at the Arenal River for a quick dip to clean off the mud and dirt before heading back to go rafting. 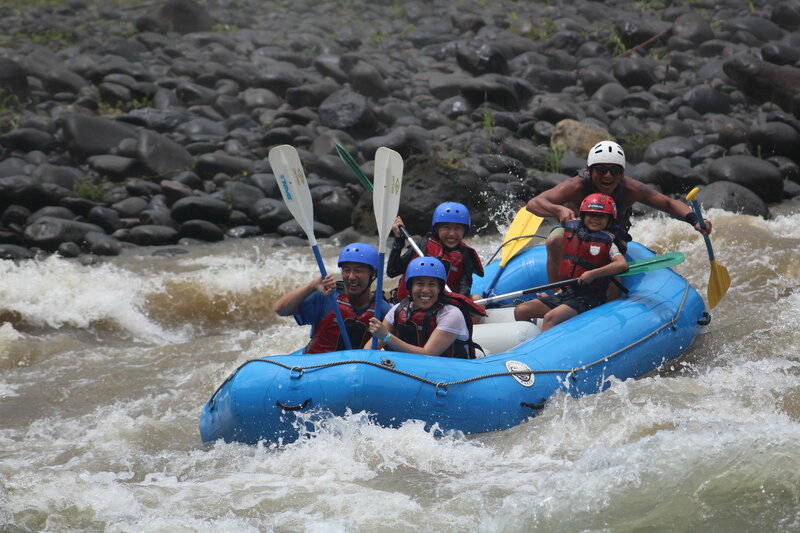 Just 40 minutes out of La Fortuna, The Balsa River offer great class II-III rapids and plenty of fun. At the arrival you will be given your gear, a guide, a safety speech and some practice before putting in the river. 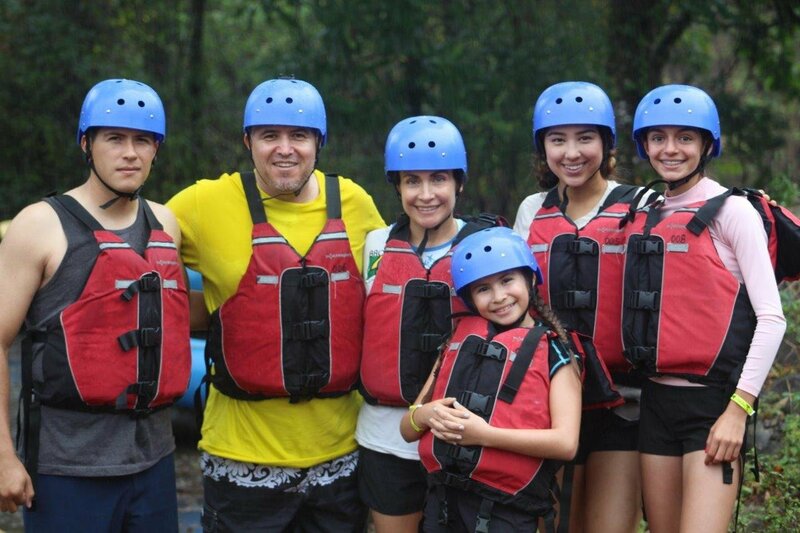 Half way down, we will take a break from paddling and eat some fresh tropical fruit before we venture down the second part of the river where we regularly see all types of wildlife such as sloths, howler monkeys, iguanas and many birds. Once the rafting is over, we head to a typical Costa Rican small family run restaurant for some delicious authentic homemade lunch. 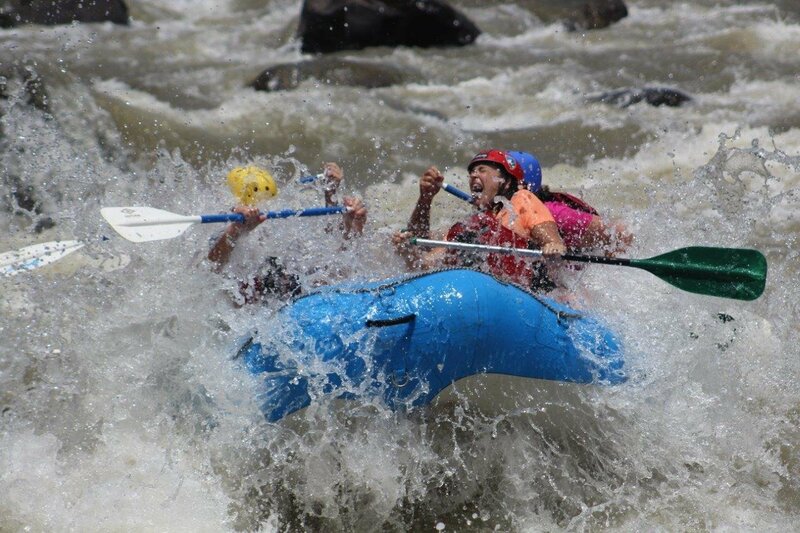 Includes: fruits, lunch, transport, private guide, safety boat, gear and insurance. Level of difficulty: Easy to medium.